Is there a spiritual side suicide? As a psychologist, and as a daughter whose father committed suicide, I know there is a lot of hope that we can offer to the world in regard to depression and suicide! 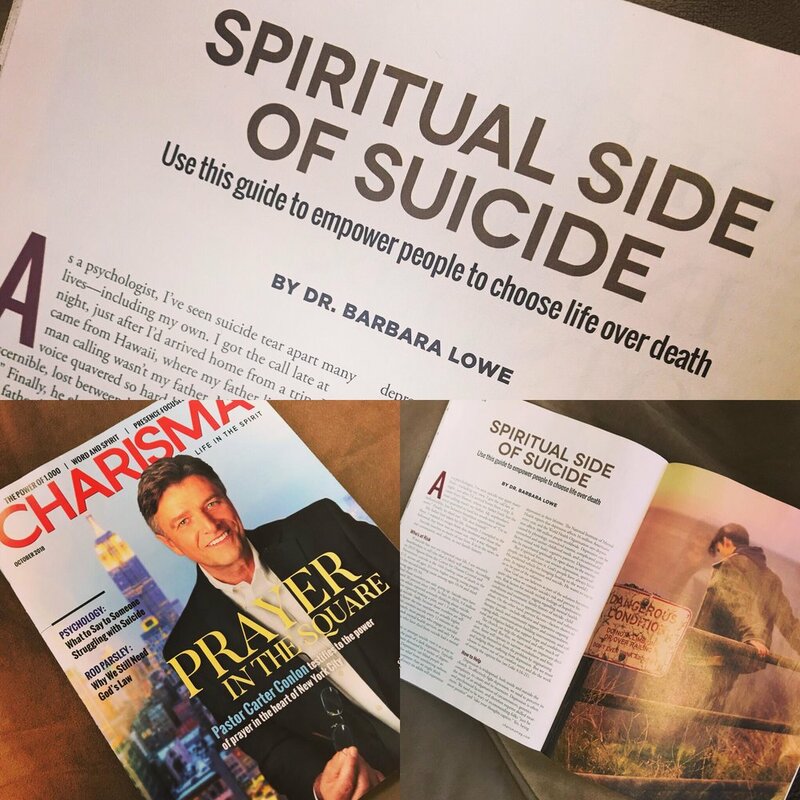 This article was published in the October edition of Charisma Magazine, available at your local newstand or book store, and available online through subscription.